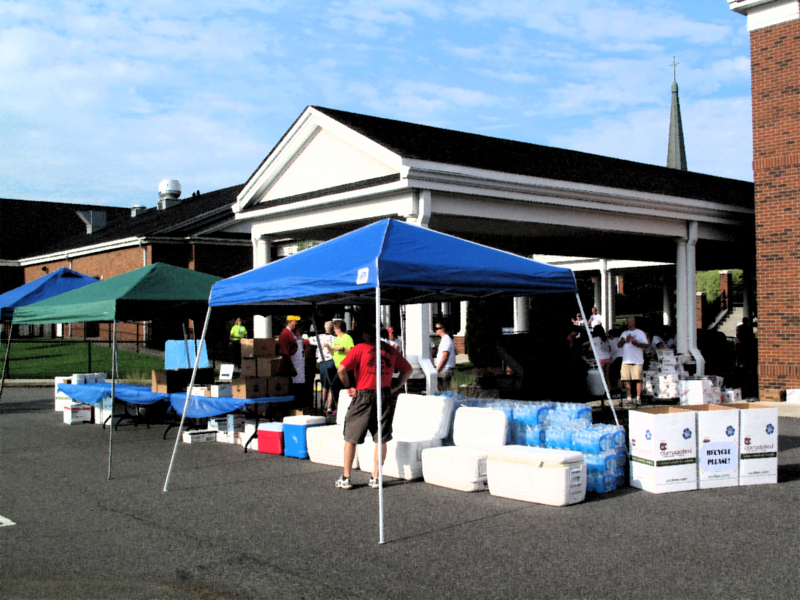 Pratt was once again a proud featured sponsor of the annual Iredell Statesville Community Enrichment Back to School Bash, which donates free and much- needed clothing and school supplies for children who are in need of support. The event takes place in Mooresville, NC., near Statesville where Pratt has a large box-making plant. At the Back to School event, vendors offer community residents the opportunity to sign up for free after school enrichment programs, scholarships to the community YMCA, health department basic screenings for dental care, and information on teen pregnancy, personal hygiene, and handling peer pressure. Check out the note below from the organization showing how important community support is to this program! 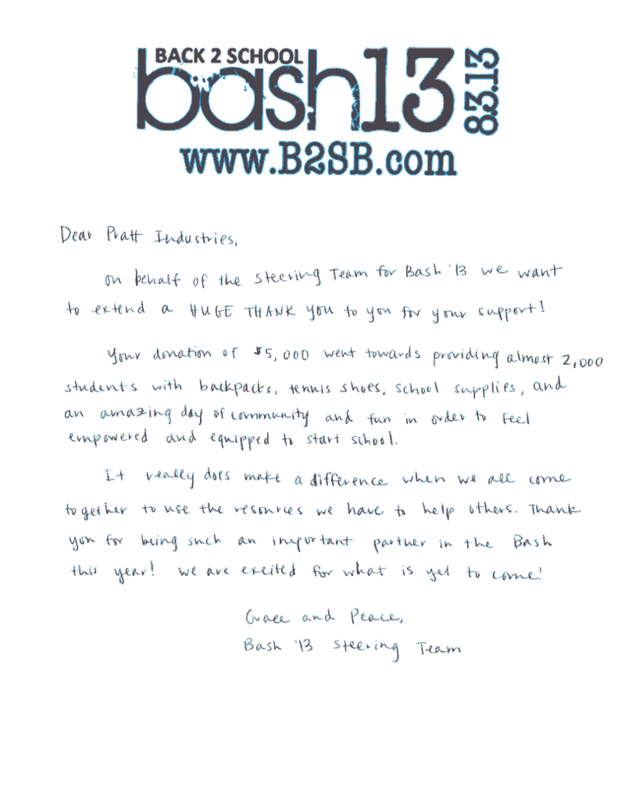 To learn more about this effort, please visit B2SB.com.